Remember when… is a collection of news and events from our history that showcase the absurdity of continuing to wage war on the marijuana plant and its users. These news stories of old are more than just a nostalgic trip through what many consider a “simpler time”, though. 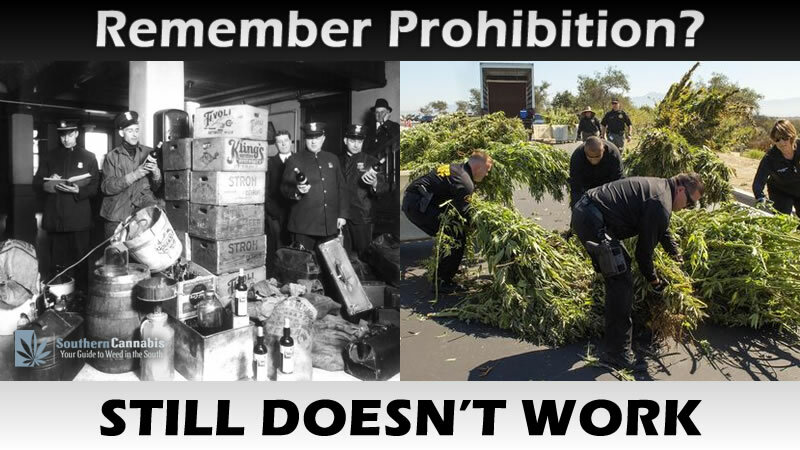 They also demonstrate the lengths that our government has gone to over the last 100+ years to in an effort to abolish a plant that literally has a thousand-and-one uses by exposing the complicity of our so-called “trusted” news organizations in the war on drugs. This propaganda, which has been spoon-fed by the government and other special interests to complicit reporters and news organizations over the last century, is glaringly obvious to us when we read 80 year-old newspaper articles detailing vague stories of made-up people losing their minds after taking a single hit from a marijuana cigarette. But it wasn’t so obvious to people then, and because of this we must keep these violations of our trust fresh in our minds, so that we are better prepared to recognize it when it happens again. September 18, 1940– A gang of Pittsburgh-Homestead marihuana cigarette peddlers was broken up today, with six of the eight members on their way to prison, another under deffered sentence and an eighth serving a suspended sentence. June 19, 1951– I have no idea of the name of this tragic youngster. He was 17 years old, a Puerto Rican from New York’s little San Juan, and — to his shame and bewilderment — a veteran dope addict. March 9, 1913– The revolution in Mexico has brought with it not only the ravages of war, but also the degradation of the social conditions of soldiers and prisoners. February 17, 1935– Shocking crimes of violence are increasing. Murders, slaughterings, cruel mutilations, maimings, done in cold blood, as if some hideous monster was amok in the land. Alarmed Federal and State authorities attribute much of this violence to the “killer drug”. May 20, 1949– Drug principles isolated from leaves of marijuana, an innocent-looking plant that grows wild in different parts of the world, are playing an important role in research on a cure for epilepsy.